Posted by Ali Kane on Friday, March 22nd, 2019 at 9:53am. Lion Country Safari located in Loxahatchee, Florida is the only drive-through and walk through safari and amusement park in the state. Located in western Palm Beach County, the safari is located on more than 600 acres and was founded in 1967. The Lion Country Safari claims to be the first cage-less zoo in the United States. The safari has won numerous awards and recognitions including the 3rd Best Safari in 2009, One of the Top Ten Drive Through Safari’s, Best Outdoor Activity in Palm Beach County, Top Local Attraction of 2019, and the Certificate of Excellence in 2017 just to name a few. Lion Country Safari was developed by entrepreneurs who wanted to bring the African Safari experience to the United States without having to travel and the expenses to make the journey to Africa. Palm Beach County was chosen for its location because of the warm outdoor climate all year round, growing population, and a large amount of tourism in the area. There are over 1000 animals from 6 continents throughout 7 different sections of the safari. 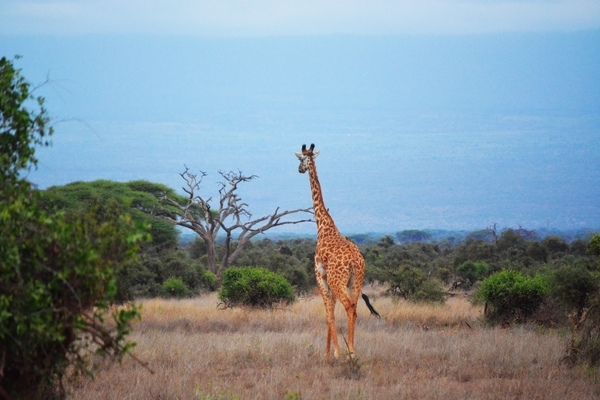 Some of the notable species roaming the preserve include white rhinos, lions, giraffes, chimpanzees, and zebras. There is 4-miles of pathways throughout the safari to drive through and see the animals. After driving through, the safari has a 33-acre amusement park called Safari World located on the grounds that is continuing to grow. The park features shopping, restaurants, petting zoos, boat rides, merry-go-rounds, exhibits and much more. In addition to the amusement park and safari, there is also the KOA Campgrounds onsite to provide and accommodate over night guests. With more than 200 campgrounds sites, gas station, food and store outlets, veterinary hospital and over 170 employees than help operate the facility. The Campgrounds offer special events, tour groups, educational programs and summer camps throughout the year. Lion Country Safari is open every day from 9:30 am until 4:30 pm, the Walk-through section closes at 5:30 pm. They recommend you spend 4 to 5 hours at the safari to see everything. Admission is required and costs $37 dollars for adults ages 10 through 64, $33 dollars for Seniors ages 65 and older, Children ages 3 to 9 are $28 dollars and children 2 and under are free. Parking is $8 dollars per vehicle. The Lion Country Safari is located at 2003 Lion Country Safari Road in Loxahatchee, Florida.